Bea's Book Nook: Nora Roberts/JD Robb 2019 Release SChedule! 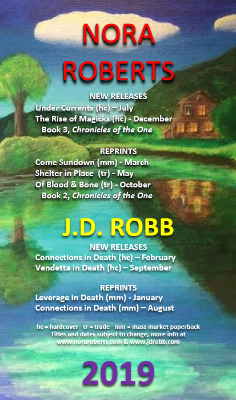 Nora Roberts/JD Robb 2019 Release SChedule! It's that time again! Nora Roberts has released her book schedule for next year. The list includes new books and reprints. Pull out your calendar and add in the books you are anticipating.